This has to be the best ever photograph of the Prince of Wales, who is currently on a tour of Colombia with the Duchess of Cornwall. Such joy in his face. 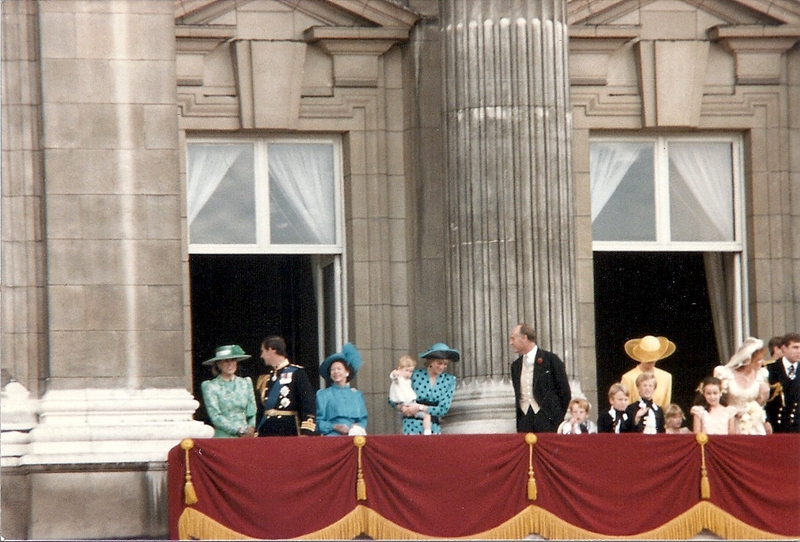 Only one British reporter, Rebecca English, and several photographers accompanied the royal couple. Due to illness Rebecca will be returning to the UK early, but kudos to her for going to Colombia in the first place to cover the Prince of Wales and Duchess of Cornwall. Nor is the Prince of Wales afraid to show affection for his wife, the Duchess of Cornwall. The British royal beat writers would have fallen over themselves to accompany the Duke and Duchess of Cambridge if they were the ones making the tour, and we would have read numerous articles about what the Duchess wore to a particular engagement. The Prince of Wales is the heir apparent, first in line to the throne. He is the next sovereign. His son, William, is the second in line, and does not a constitutional role. William has yet to embrace the full mantle of royal duties. Lots of criticism about this, but if the Queen wanted the Duke take on more engagements, he would be doing more. There have been many discussions on why the Duke of Cambridge was not present at the recent state dinner. The Duke and Duchess of Cambridge are not dissing the Queen by not attending. At some point, the Queen will request the presence of the Duke and Duchess of Cambridge at a state dinner, but this has not yet happened. When this does happen, we will know if the Duchess has received the Queen's Family Order. I expect she has received it, but an official announcement of the order being bestowed on a distaff member of the Royal Family is never made by the Court. If the Queen wanted the Duke and Duchess of Cambridge to be full time royals, she would command it, and they would do it. There is a lot of criticism for perceived slacking off, but the Queen does not seemed to be concerned. At some point, the Duke and Duchess of Cambridge will be asked to do more, and the request will come from their Sovereign. Perhaps they should do more, but, in the end, it is up to one person, and only one person, to make the decision. When she does, we will know. How will we know. More engagements, more charities, more appearances at official events, including state dinners, will be announced for the Duke and Duchess of Cambridge. So right now enjoy the good work that the Prince of Wales does. He has admirable support from his wife, the Duchess of Cornwall. He's the heir apparent. He's the real star! And his star is shining bright ... his face is so full of joy and happiness. It is sad ... and wrong ... that the Prince of Wales is getting far less press for this arduous tour. Four full days in Colombia, followed by four more days in Mexico. The Duchess of Cornwall is doing her fair share, too, with her own schedule of engagements. The Prince of Wales' star is shining brightly. When the Queen and Prince Phillip were first married he served in navy and she spent quite a bit of time in Malta to be close to him. Even left Charles and Anne with her parents for weeks at a time. Queen Elizabeth might feel it is better for young married royals to have private time to work on their relationship. Pushing Diana into limelight immediately doesn't seem to have been a good decision.